About ten years after acclaimed designer Adrian W. Wright opened Wright at Home, his first store in Fort Worth, Adrian and his business partner Doug PlesKovitch were inspired to create growth through a second brand. Using their combined years of experience in both design and retail, WRARE was created. After months of searching within a 60 mile radius of the original location, the men finally found a place that felt just right: the new and developing West 7th area of Fort Worth, just two miles away from Wright at Home. The concept was to provide the retail landscape of Fort Worth with a focused shopping experience that appealed to both men and women. “Vintage” and “Industrial” were the terms most often used in those early days, and they continue to this day. Adrian and Doug bought merchandise and grew the concept. Taking cues from the popularity of home design television shows, the two felt that the style could connect with customers, both male and female, and have long term opportunities in terms of trend and style. 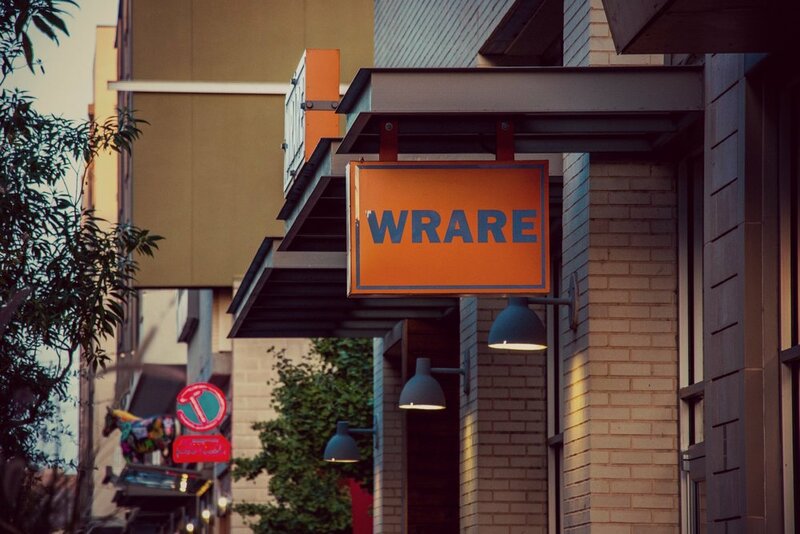 In May 2011 WRARE opened as a 1 year test in 1000 square feet. The store quickly became a local favorite. It was voted “Best Store” by Fort Worth magazine in its first year (and the 3 subsequent years after) and even received national attention in Southern Living Magazine. After the first year Adrian and Doug determined WRARE could grow larger and stay for the long term. They increased the store from 1000 square feet to nearly 3000 square feet and grew the assortment to include larger scale furniture for every room. To cap off the renovation, the pair invested in creating a warehouse style environment with reclaimed wood floors, vintage brick walls and giant warehouse windows in the newly constructed facility. Today WRARE is dedicated to it’s broad demographic of customers from every background and age group. Adrian and Doug continue to draw on their varied experience to provide a unique shopping experience for the senses which includes the music heard, the fragrances smelled and the type of lighting. Providing an ever-changing assortment of products that evoke memories, are created by local artisans, and are often inspired by the love of the city and state, WRARE has become a strong advocate of the shop small/shop local movement and is constantly inspired by the passions of other local businesses. Sign up to receive news and updates about WRARE. We respect your privacy. We would never sell or give your information away for a million bucks. Copyright 2018 © WRARE. All Rights Reserved.